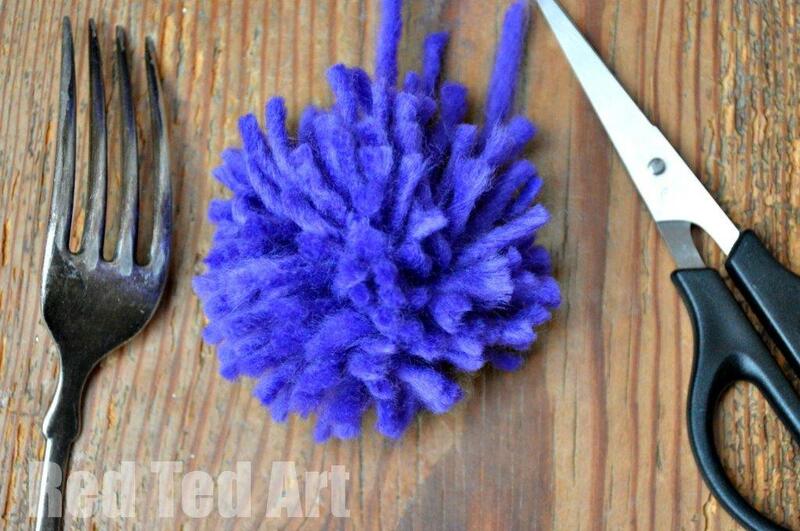 It has been a while now since we made these super cute and simple little Fork Pom Poms. 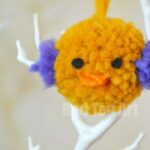 We LOVE pom poms in our house (we have so many Pom Pom Crafts & Ideas for you) and I love trying out different ways to make them and seeing which way is easiest for the kids (see our full list how to make a pom pom techniques here). 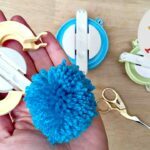 I confess for KIDS a pom pom maker really is great, though a rectangular piece of card also works… as do the traditional cardboard circles. 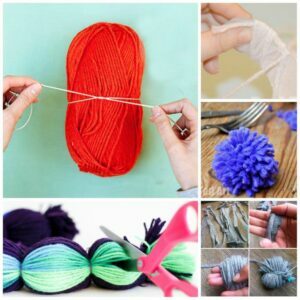 Today, I want to share with you the fork pom pom making method – you can actually use your fingers to do this method too. 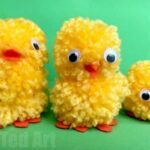 So these can be easily made any time, any place! 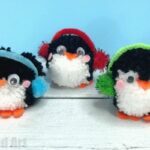 Check out our full list of how to make a pom pom technique!!! 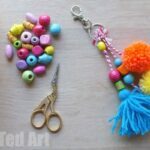 Watch the Pom Pom Fork Video below or check out the step by step photos! 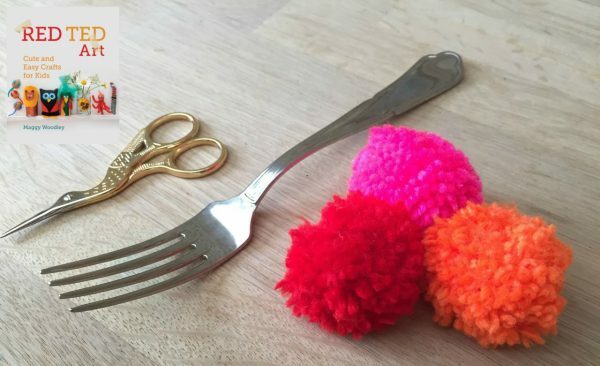 To make your fork pom poms… all you need is a fork (really?! 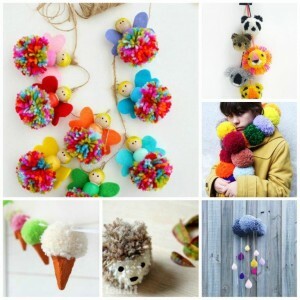 ), some wool (you never!) 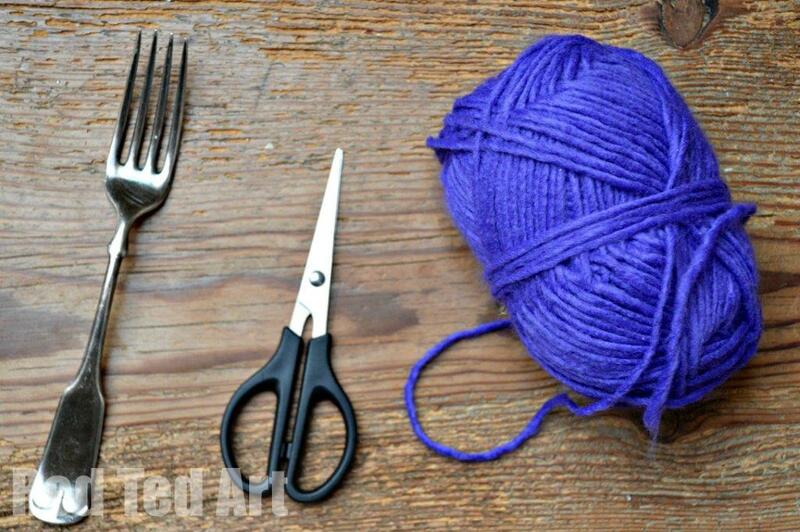 and a pair of scissors. 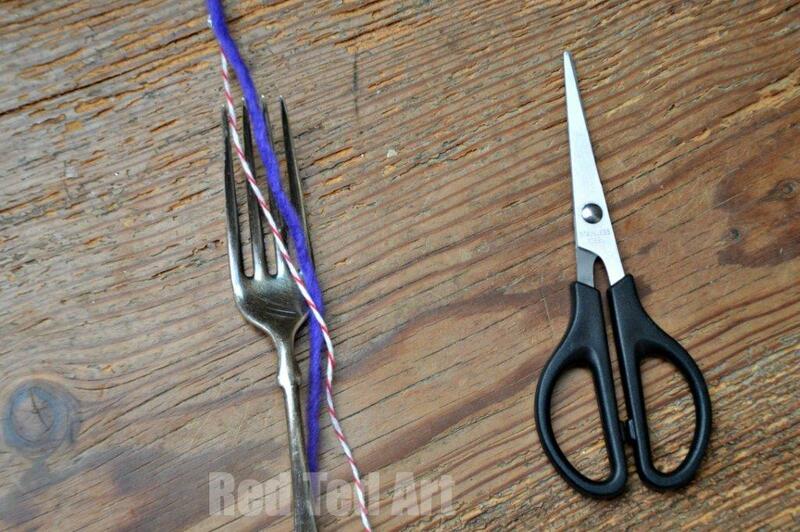 Cut a piece of string and place along your fork – I added some bakers twin 1) so you can see it better and 2) because the wool I used is very soft and when tying a knot breaks easily. 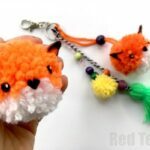 This will be the piece you use to knot your fork pom pom securely! 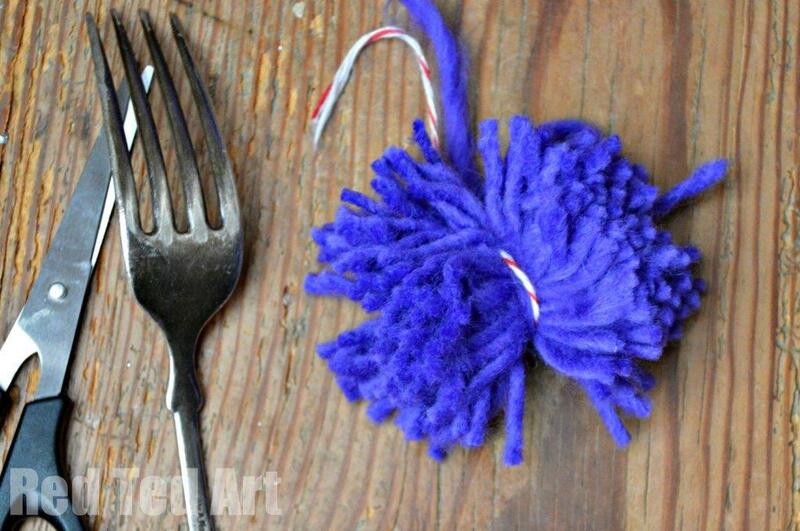 Now tie your bakers twine as tightly as possible to create a secure fork pom pom. 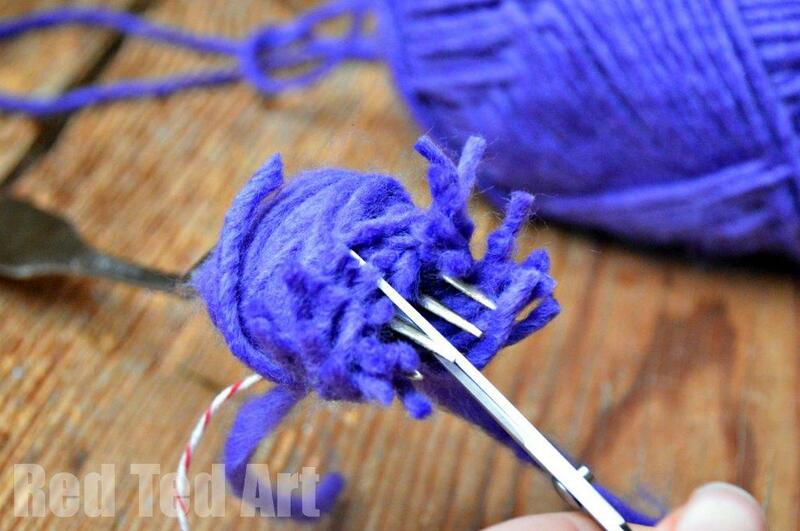 Cut along the OPPOSITE side of your knot. 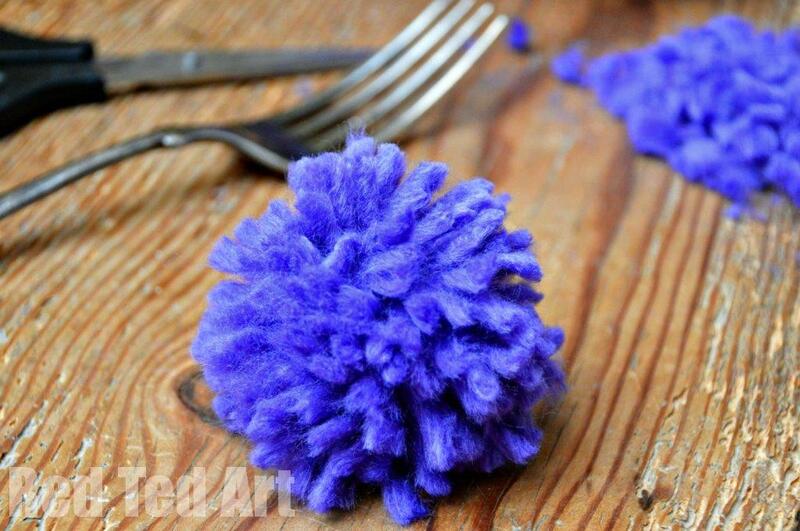 Doesn’t look THAT fork pom pom like yet, right? 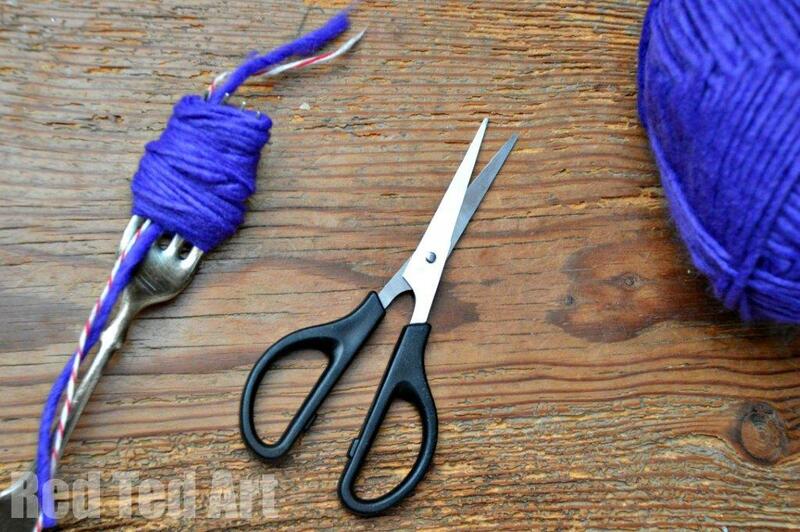 Well, I tied a second knot “just in case” and then…. 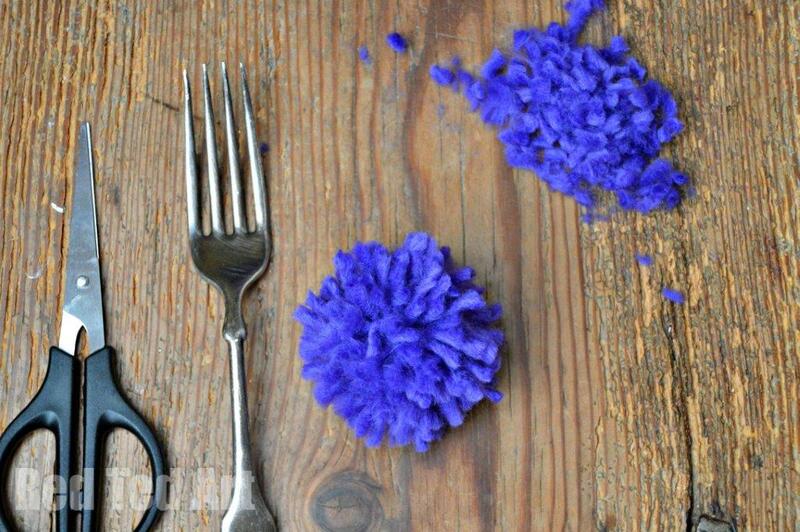 …fluffed it all up and already it is looking much more pom pom like. Phew. 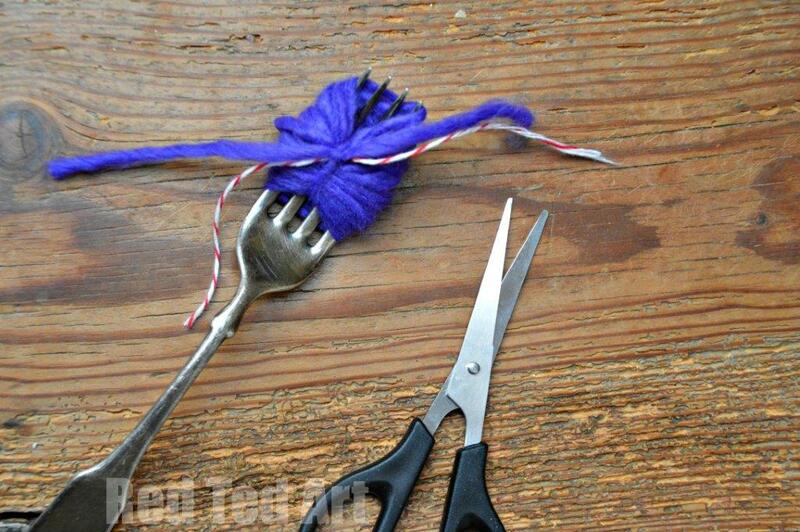 Then use your sisters to trim and even out your fork pom pom and …. 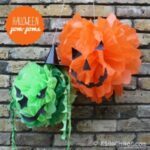 ..done! 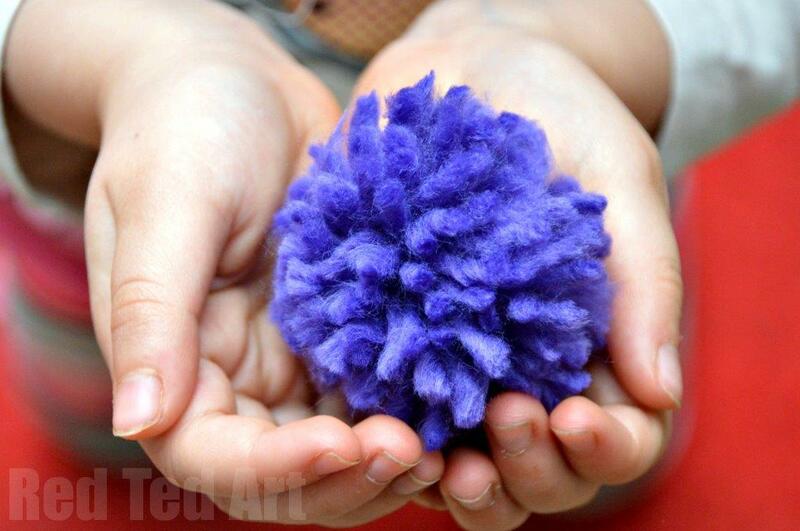 You know how one LOOOOVELY little pom pom.